This is a round Hemet San Jacinto Riders porcelain sign. This particular Hemet San Jacinto Riders sign features a man sitting on a horse in the desert with a blue sky in the center. 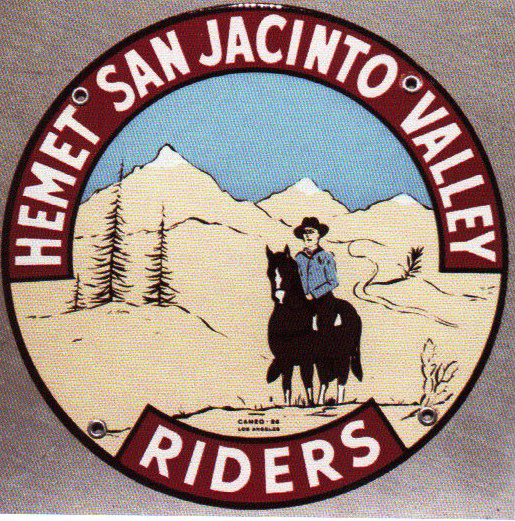 It reads, “Hemet San Jacinto Valley Riders” and has a maroon border.